Rebel Legion :: View topic - Rebel Legion promotional goodies - who wants to purchase? Rebel Legion promotional goodies - who wants to purchase? 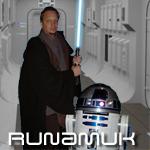 Posted: Mon May 25, 2009 7:49 pm Post subject: Rebel Legion promotional goodies - who wants to purchase? New Game Plan for "Promotional Box"
Since it would have been too costly for the Legion to put together multiple boxes of merchandise goodies in a single shot, they have decided to do runs of small items, one at a time, throughout the year. So As the items become available, I'll purchase some until our collected funds have run out. Thanks to the following members who have donated to the promotional goodies! The merchandising team at Rebel Legion is offering these promotional goodie kits ($84.00 total cost) for Base commanders to purchase. Each kit has 50 custom pens, button pins, magnets, and plastic key tags. Our base is actually finished with its big convention for the year (WonderCon), but if enough members wanted to chip in for this kind of a kit I'd consider getting it. I just can't afford to be buying all of this on my own, and I know we all chipped in for a lot of goodies for WonderCon already (plus our recent tattoo run we are awaiting shipment on). I already purchased large Rebel Legion button pins for table volunteers at WonderCon (most of them were given away), and smaller pins for people who helped at WonderCon back in 2008. My idea is that if enough base members just wanted to have their own keychain, magnet, button, and pen we could divide up the order between those who contribute so that each of you could have a few of these for your personal use, and the rest would be special hand-outs for future cons to give to whatever VIP guests are at that con? (like, it would have been kind of cool to give Peter and C. Andrew Nelson a keychain and magnet at SuperCon). Let me know your thoughts. I just didn't want to turn down this order if enough of you wanted to get some of these for your personal collection and use. Deidra(Princess Dee) has posted a Sale on the Base Command boards for Promo boxes containing items that should be given away at conventions and events. These items ARE NOT for resale. For a total of 200 pieces. There is a limit of 45 boxes at this point in time which is explained in the post on the Base Command boards. Each box will be $70 USD. Each box of 200 items will be shipped in a Large Flat Rate Box. $86.77 is the total in the US so if 10 persons chipped in it would be $8.68 per person...Obviously if more chipped in, the lower the per person cost. Kathy, Barry and I would be glad to put $20.00 towards the purchase of the kit if others are interested. I know that WonderCon has already happened this year but this could help with next years convention. I'd be interested in purchasing some too both for my own collection and as special giveaways. I can throw in some $ too. Just let me know. If I knew what I was doing, it wouldn't be called research. I can also contribute some $$$. Let me know. Thanks for the contribution Don! OK, with Don's contribution and looking at the show of hands we had of others willing to contribute, I get about $10.70 per person once paypal fees are factored in. So out of all of you who contribute, I can send you either your percentage of the goodie box for your personal use - or if you choose to only want a couple of pins, buttons etc for yourself and donate the rest as convention hand outs it is your choice. Sound fair? If any of you want to paypal me it would be the e-mail address in my profile. If this still goes through you can put Jessica and I down for a portion too. Do you want the $$ now or are we waiting? I have not forgotten about those of you who sent paypal payment to contribute to the promotional goodie box. (I have your payments saved in a specific folder). This is the update on this project, there were not enough bases willing to purchase boxes in order to meet the minimum quantities required for each type of item going in the box. So, throughout the year the Legion Merch Officer has started doing Legion runs of things like pins so that individual members can buy part of the bulk. Then they are saving some off to the side for our Base Boxes. At least, that is how I understand it. I am going to double check it now, because if we are being expected to just purchase part of the individual runs to make our own 'box' I will just put all the donations we've gotten toward the individual goodie runs, if that makes sense?